Bugis is a commercial area in Singapore with a colourful past and plenty to do for both the well-heeled and those looked for travel oddities. The precinct no longer retains any of the hallmarks of what made its name notorious in the 1950’s – 1980’s (its transgender community, rat-infested drains, hawkers, sidewalk bars and night market shopping) but it continues to be a tourist destination for its street and mall shopping and general sheer hubbub. Regardless of interest, Bugis will have something for you. The Parkview Museum is a private museum located in what is referred to by locals as the “Gotham City” building for its majestic Art Deco exterior. The museum is owned by the Parkview Group and showcases exhibitions to the public. The Group’s extensive art collection is impressive. It includes the largest Salvador Dali collection outside of Spain, more than 10,000 works of Chinese art, including paintings and stone Buddhist carvings, as well as masterpieces from Italy, Austria, Germany, France and America. Entrance is free of charge, with groups visits by appointment only. The glorious Art Deco exterior of Parkview Square is celebrated in the building’s interior lobby, which is home to ATLAS, a bar that caters to dining and drinking in a lush, wonderous atmosphere. The bar is serviced by Bartender Roman Foltán, formerly of London’s award-winning Artesian at the Langham, and menu delivered by Executive Chef Daniele Sperindio. It’s list of awards aside, the ambience at the Intercontinental Hotel makes for a pleasant pause during an itinerary of sight-seeing and shopping in the Bugis precinct. The architecture and decor of the hotel recall heritage shophouses from bygone days, ornate living areas of traditional Peranakan homes and colonial charm from the British era. If you’re looking for the strange, something a bit unusual, weird or wacky, the colourful arena of Bugis Junction will have something for you. These colourful spiral staircases in the back alley of Bugis Village have graced many Instagram profiles, but we wonder if the snap-happy know the story behind their origins. In the 1920’s, when public sanitation involved manual removal of so-called “night-soil” buckets, night-soil carriers would climb these stairs to replace buckets full of excrement. Ghetto Singapore has more detail with some great photos from the archives detailing the architecture and use. A community of fortune telling vendors commune on Waterloo Street offering a glimpse of your future using cards, palms, astrological readings and other mysterious means. It’s a curious sight. Come with a fair share of scepticism and if you choose to participate, we strongly encourage you to regard this as a quirky activity and not the basis for a blueprint for your life. 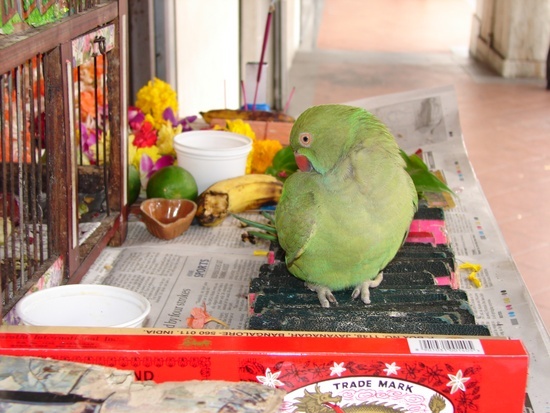 Have your fortune read by a parrot perhaps? Courtesy of Pinterest. 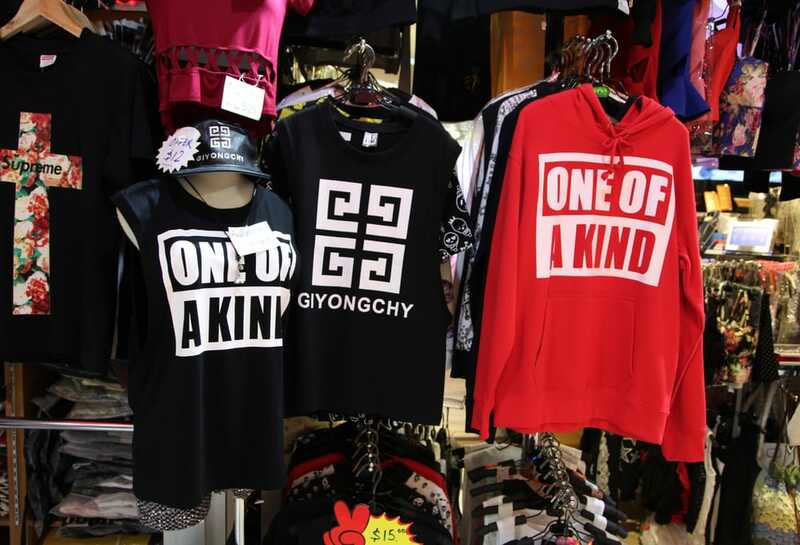 With a stop at Bugis Street Market on most tourist itineraries, we have to point out the t-shirts on sale which are printed with odd, and often hilarious, sayings. It does make one scratch one’s head with wonder at why someone deemed these wearable, but given, they are funny. If there is someone in your life who would wear a t-shirt saying, “I don’t need Google, my wife knows everything” or “I’m not insane, my mother had me tested,” this is the souvenir stop for you.